Ancient civilizations were essential to making the modern world what it is today, and many of us have family that can be traced back to these times. Representing your ancient heritage through body art can be a great way to feel closer to where you came from, and showcase your pride in your ancestry. 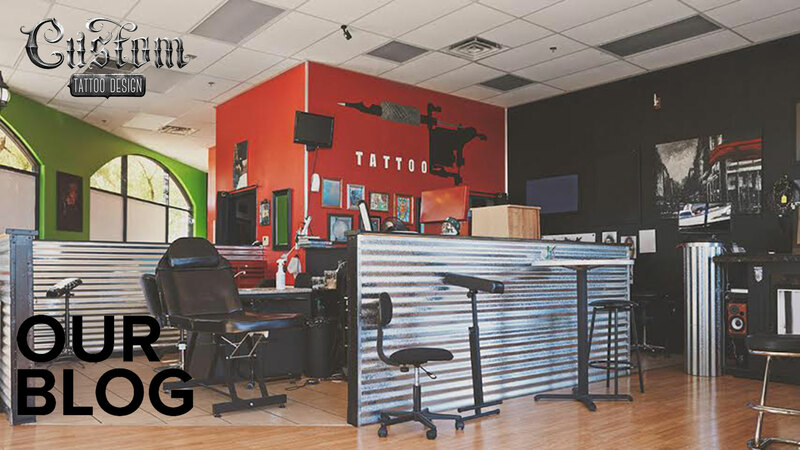 Read on to find out some of the symbols that are associated with ancient ancestry to get inspired for your next tattoo. Norse Tattoo Ideas – Norse ancestry has a lot of symbolism associated with it, all of which have powerful meanings attached to them. 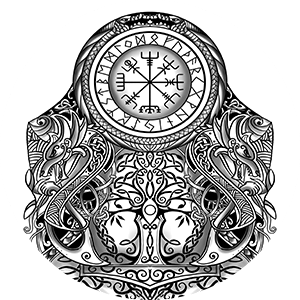 If you’re looking for Nordic tattoo ideas to represent your ancestry, the following symbols can be utilized: runes, the valknut (Odin’s knot), yggdrasil (Tree of Life), Aegishjalmur (the Helm of Awe and Terror), Vegvisir (Viking compass), The Horn Triskelion (The Triple Horn of Odin), Mjölnir (the Hammer of Thor), Svefnthorn, Huginn and Muninn (the Twin Ravens of Odin), Skuld’s Net (the Web of Wyrd/Matrix of Fate), Gungnir (Magical Spear of Odin), and the Troll Cross. Spartan Tattoo Ideas – The Spartan army represented the ancient Greek Spartan state. The most famous symbol associated with the Spartans is the sign that was on their shields, the lambda. Other symbols that could be used for Spartan tattoo ideas include a warrior with a shield, a bronze helmet, and a long spear. The best way to make it clear that your tattoo is for Spartan ancestry is to include the lambda somewhere in your design. Greek Tattoo Ideas – Ancient Greece influenced the entire world, through it’s cultures, arts, and practices, to their mythology. Many of these ancient Greek symbols can be used as tattoo ideas, including: the minotaur, a labrys, the Asclepius wand, the Solar Cross, the Cornucopia, the Gorgon, labyrinth, the Bowl of Hygeia, the Hercules Knot, and the Caduceus. Greek Gods and Goddesses, such as Zeus and Aphrodite, can be made into tattoo designs, along with the symbolism that’s associated with each of their legends. Roman Tattoo Ideas – Like Ancient Greek, Ancient Romans were essential to the creation of the modern world. There are a variety of symbols that represent ancient Rome, such as: the Mano Fico, fasces, aquila, she-wolf, a Roman soldier, Cimaruta, the Knot of Hercules, elemental symbols, a dove, an olive branch, three intersecting circles (the Law of Threes), and a bipennis. Figures from Roman mythology, like Romulus and Remus, can also be used in tattoo designs, along with symbolism associated with their respective mythos. Aztec Tattoo Ideas – The Aztecs were one of the first civilizations, and symbols hold a ton of meaning to this ancient culture. If you’re looking for tattoo ideas to rep your Aztec ancestry, consider the following: the Calendar Stone, an eagle, the sun, an Aztec warrior, pictograms, Atlatl (spear thrower), a jaguar, a dog, Xolotl (dog-headed god), an owl, a monkey, butterflies, xochitl (flower) and maize. Celtic Tattoo Ideas – Celtic people played a big role in ancient society, and if you want to represent your Celtic ancestry through body art, there are a ton of symbols to choose from. Celtic symbolism held a lot of meaning, and to a degree, still does today, including: the triskelion, triquetra, triskele (triple spiral), awen (three rays), spiral, five-fold symbol, threefold symbol, epona (double spiral), Celtic cross, quaternary, and the Celtic knot. These are some of the most recognizable Celtic symbols out there, and make for great tattoo ideas. There are several options for ancient ancestry tattoos and many symbols to choose from to represent where your people came from. Looking into some of the meanings behind these symbols can be key in deciding what kind of ink you want to stand as an icon for your ancient heritage. Do you have a tattoo that showcases your ancient ancestry? Let us know in the comments! Not what you were looking for? You can see more tattoo ideas here!